While Netflix is good for an afternoon of binge-watching your favorite TV shows, it has a great movie selection, too. With an amazing 83 million subscribers, the streaming service has capitalized on the cord-cutting movement and has recently expanded into offering their own original series and films. Even though the titles Netflix offers change from time to time, they consistently offer up some really great movies, including plenty of titles that are well worth watching even though they might not have attracted the audience they deserved at the box office—or missed theaters entirely on the way to home video. At the time of this writing, these are the best "hidden gems" on Netflix you may not know about. Some are sleeper hits from the last decade, while others are older classics you may not have seen unless you're a real cinephile. Either way, do yourself a favor and add these to your queue. In many ways, the John Carpenter horror thrillers of the '80s were a genre unto themselves. Movies like The Thing and Prince of Darkness reveled in violence and body horror without leaning on it as a pure shock tactic the way many horror movies did at the time—and although Carpenter's output slowed as his style of horror fell out of favor at the box office, his influence lives on. In fact, while Carpenter himself hasn't directed a movie since 2010's The Ward, his fans will spot the filmmaker's blood-spattered DNA in this small sci-fi horror outing, which slipped unnoticed into that exclusive genre. 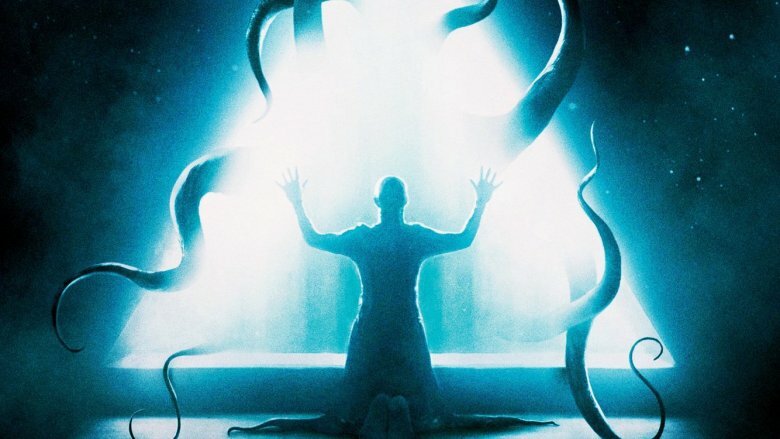 The Void is a throwback to those '80s creature features in many ways, from the practical monster effects to the subdued, foreboding atmosphere, but writer-directors Steven Kostanski and Jeremy Gillespie clearly learned some good lessons from the master—this is one creepy homage that also stands on its own as a bloody good sci-fi creepfest. 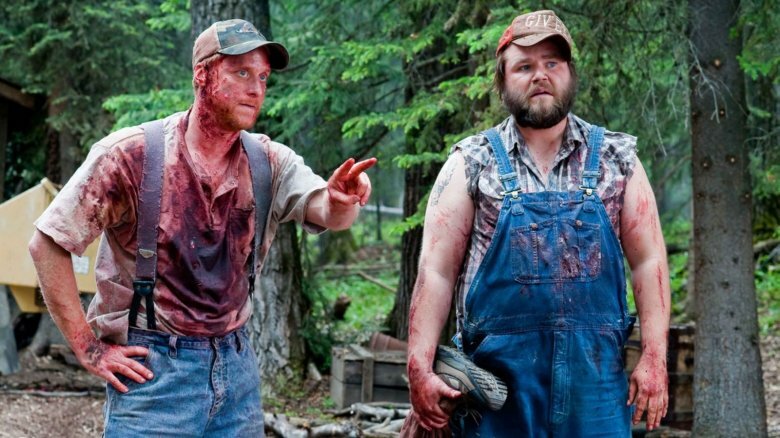 There are a lot of reasons to watch this blood-and-guts-filled backwoods adventure, but the thing we love most about Tucker & Dale vs. Evil might be the way it turns traditional horror tropes on its head. This comedy horror film stars Alan Tudyk (Wreck-It Ralph, Firefly) and Tyler Labine (Breaker High, Reaper) as a pair of West Virginia hillbillies who encounter a group of clueless college students on a camping trip. 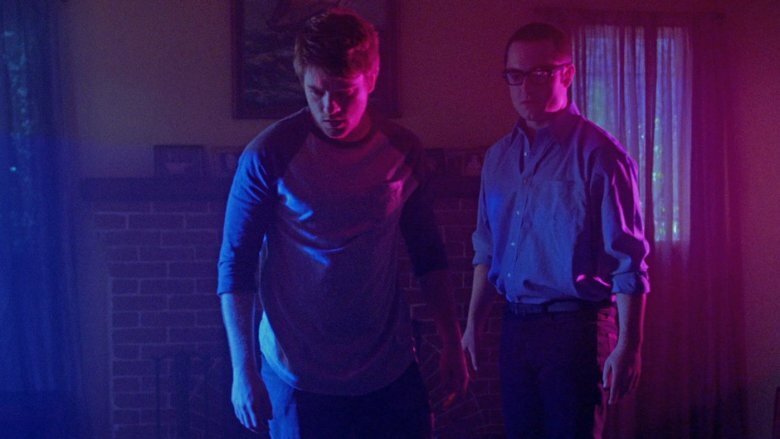 When one of the college students accidentally hurts herself, Tudyk and Labine rush to do the right thing and take care of her — until the misguided college kids attempt to rescue her from the "scary" backwoods hicks that they mistakenly believe are getting ready to torture, maim, and murder their friend. All sorts of hilarious and horrific hijinks ensue—and more than a few stereotypes are mocked— all of which makes this movie a perfect choice for your Netflix queue. Back in 2009, a handful of critics raved about Duncan Jones' debut film Moon, calling Jones one of the freshest voices in cinema. Then came Source Code, a slightly less intense but still extremely enjoyable film. After that came Warcraft. Finally, Mute, a disaster by any other name. And the name of Duncan Jones became synonymous with "that one good movie." But who cares? Because Moon really is a fantastic experience, even if it's barely a cult film at this point. 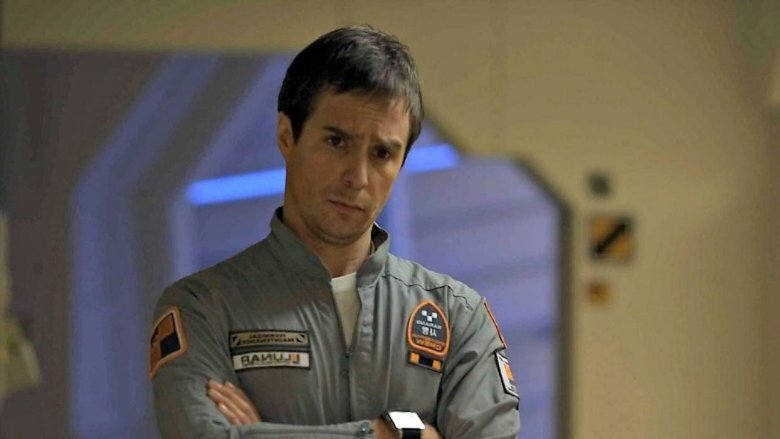 Starring Sam Rockwell and a robot who sounds like Kevin Spacey, it's the definition of a bottle movie — just one man in a lunar research station, slowly losing his mind. Of course, any trailer will tell you that there's a little more to it than that, but we're not trying to spoil anything here. If you've never seen Moon, do yourself a favor and avoid all the marketing and just queue it up on Netflix. 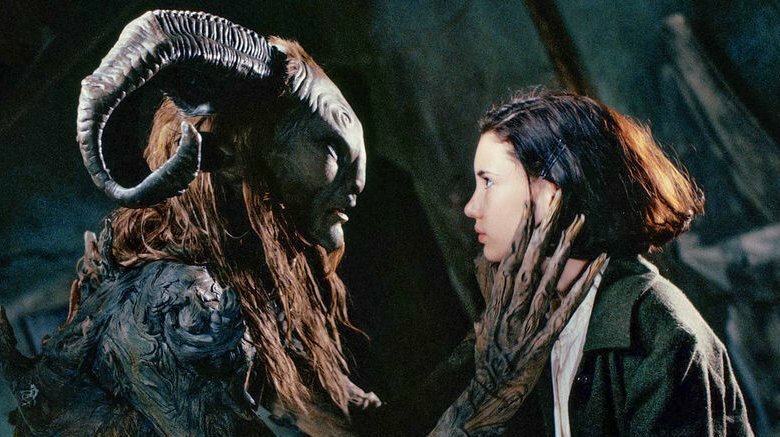 From the mind and lens of Guillermo del Toro, the filmmaker who gave the world clever and often horrific sci-fi mind-benders like Hellboy, Crimson Peak, and the Oscar-winning The Shape of Water, Pan's Labyrinth presents a trippy, fantastical world full of magically weird places and unbelievable creatures. Yes, it's a fairy tale, but this beautiful and original source of nightmare fuel is decidedly not a movie for children. Set in 1944 Spain after the country's Civil War, a child named Ofelia (Ivana Baquero) needs and desires escape from her reality of a fascist stepfather and a pregnant mother who's fallen ill.
A fairy-like insect guides Ofelia into a stone labyrinth, where a faun (that's a half-man, half-goat) tells her that she's actually a reborn princess of legend, and must complete a series of challenges to claim her kingdom. It's your typical (meaning bizarre) dark fantasy type stuff — getting a key from a toad's belly, finding a dagger among the personal effects of a child-eating "Pale Man," etc. 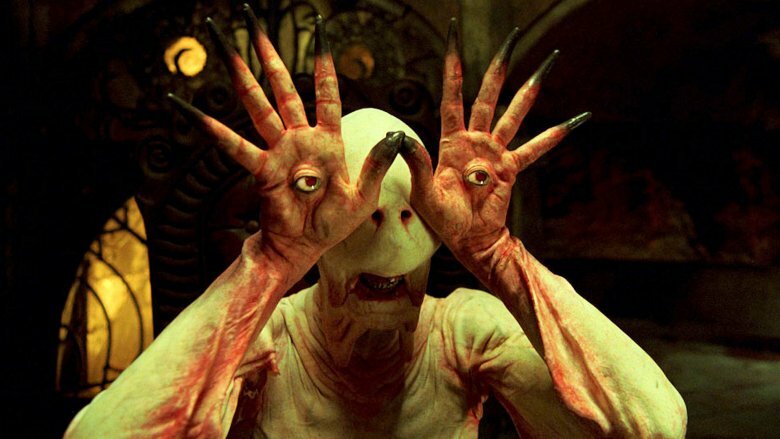 Doug Jones, a performer who specializes in portraying not-quite-human characters (he was the sensitive sea monster in The Shape of Water), turns in two of the best performances of his career in the unforgettable and haunting Pan's Labyrinth, playing both the faun and the Pale Man. 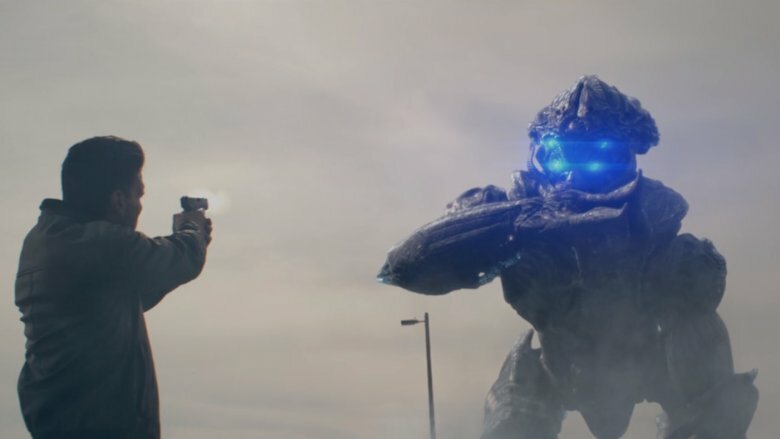 B-movies tend to get a bad rap thanks to their low budgets and terrible acting and poorly vetted scripts, and let's be honest — Beyond Skyline fits snugly into most of those categories. The basic plot is this: Aliens invade Earth using some high-tech blue lights that turn people into zombies so the aliens can harvest their brains. Enter Frank Grillo, an alcoholic cop with who punches the aliens hard enough to make them regret invading Earth. It's technically a sequel to 2010's Skyline, although all the characters are different and it seems to take place at roughly the same time as the first movie, just from different perspectives. Let's call it a poor man's Cloverfield franchise and move on, because none of that is really important. What takes Beyond Skyline to the next level is the amount of effort and love the filmmakers clearly put into it. It's chock full of design elements that someone clearly spent weeks perfecting, only for any one element to get just a few seconds onscreen. It's the kind of attention to detail you expect from a big-budget blockbuster, and even then you don't always get it. If Beyond Skyline gets one thing right, it's carrying that passion through to the audience. Also, it's a lot of fun. If you have a soft spot for surprisingly good genre movies, check it out. It should be a crime to make a disaster movie this emotional. Pandora is like if San Andreas ended with the Rock killing Mufasa in front of Simba. There's just no law-abiding reason to give an average, run-of-the-mill movie like this so much heart, and yet there it is — the music is swelling, the credits are rolling, and you're wiping tears from your eyes like it's the first time you stubbed your toe. It's absolutely uncalled for, and people should be punished. Anyway, Pandora is about a nuclear reactor that goes haywire after an earthquake, endangering a small South Korean town. After that, there's about an hour and a half of government people trying to make sure they weren't to blame. Elsewhere, people try to escape the inevitable explosion when the cooling rods stop being…cold enough, maybe. It doesn't matter. Play Temple Run if you want. Snapchat your sister. But stick around, because out of nowhere it transforms into something so beautiful and touching you can't help but wonder if Netflix's autoplay switched movies without you noticing. And okay — the rest of Pandora isn't that bad. It's an extremely well-made film, but the ending is where all the pieces finally come together into a heartbreakingly beautiful kaleidoscope. Then again, maybe it just looked that way because we were watching it through our tears. Apart from Futurama, Ghostbusters, and Men in Black, there aren't many movies and TV shows hyper-aware of the absurd, ridiculous situations in which their characters are placed. But sci-fi and comedy fans alike prefer to keep their genres pure, so there are relatively few sci-fi comedies out there. It's takes a delicate touch to balance the weird and silly, and with Evolution, director Ivan Reitman treats an alien invasion the same way he treated the supernatural in Ghostbusters. Complete and total madcap chaos begins after a meteor crashes on Earth… thus leaving its single-cell organisms to grow and fester. Aliens are aliens even if they're tiny, but before long, they've evolved into nasty, humanity-threatening monsters. It's up an unlikely and ill-prepared individuals to put a stop to it. Among them are a community college professor (alien-proficient David Duchovny from The X-Files), an amateur fireman (Seann William Scott), and a geologist (Orlando Jones). Evolution is just as unabashedly crazy, boundary-pushing, and often as gross as Reitman's better-known film. 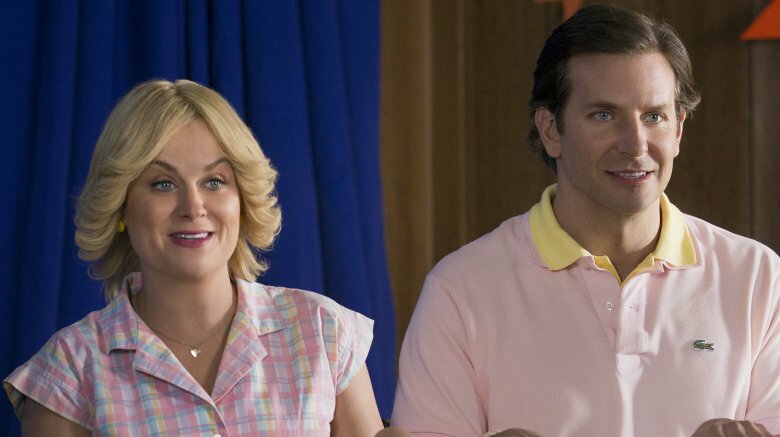 Wet Hot American Summer takes place on the last day of summer 1981 at Camp Firewood, and at first, it seems like it'll be an amusing send-up of 1980s summer camp movies. But then the film gloriously descends into madness, becoming one of the most unabashedly silly movies of all time. That's to be expected, as it's directed by David Wain, later to helm Wanderlust and Role Models, and former member of the State, a comedy collective that had its own popular sketch show on MTV in the mid-'90s. Wain co-wrote with State member Showalter, who also appears alongside future stars Bradley Cooper, Paul Rudd, Amy Poehler, and H. Jon Benjamin (Bob from Bob's Burgers) as a talking can of vegetables who counsels camp cook Gene (Christopher Meloni) into being proud that he likes to "fondle sweaters." That's not remotely the weirdest thing in a movie that features Skylab crashing, the casual deaths of multiple campers, an '80s-style training montage, a vaudeville comedian, counselors ducking into the nearest town for french fries and heroin, and Elizabeth Banks trying to seduce Rudd while her face is covered in barbecue sauce. Hate on it all you want. Just go ahead and squeeze all that hate out. 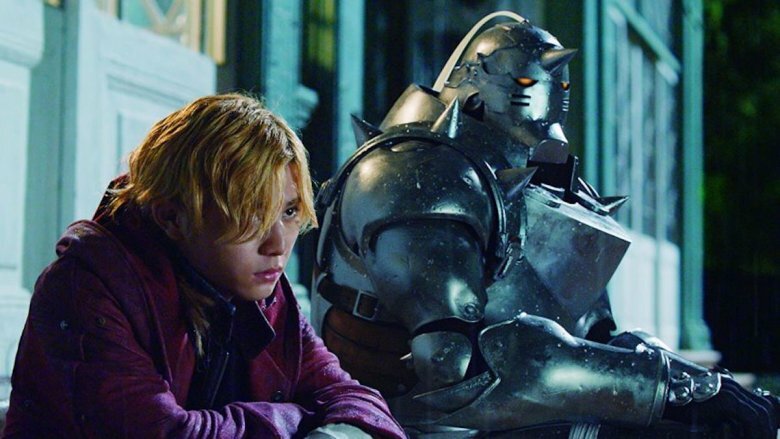 Is the live-action version of Fullmetal Alchemist as good as the anime? Not even close. Is it cheesy and hilarious and full of moments that blow your mind? Oh, you bet. For newcomers to the whole thing, the story is about two brothers with a natural inclination for alchemy (the "science" of making things out of other things) who attempt to bring their mother back to life. Things go horribly wrong, and one brother ends up with his soul trapped in a suit of armor while the other loses an arm and a leg. When they're older, they search for the mythical philosopher's stone in the hopes of restoring their bodies. As far as anime adaptations go, Fullmetal Alchemist is arguably one of the best out there. It doesn't cover the whole story, but it serves as an origin tale and works as a self-contained story that even non-fans can enjoy. That is, you can enjoy it if you already like over-the-top Asian action fantasies. That's all this is. You could probably get away with calling this movie Jumanji 2: This Time with Demons, but that wouldn't be entirely fair to Beyond the Gates, a unique horror thriller about two brothers who find a VHS board game in their recently deceased father's video store. Video board games were a real, weird thing in the VCR heyday, so there's probably a nostalgia element to Beyond the Gates if you were one of the 30 or 40 people who ever played one, but for everyone else, the idea of a video that knows what you're doing lends as much to the fantasy element of the film as the hellish repercussions the brothers experience as they fall deeper into the game. Hellish, in this case, is of course totally literal. The more the brothers play, the more the game begins to bleed into the real world, turning their home into Dante's wet, suburban dream. It's a fun, twisted film, perfect for a rainy night. Sci-fi thrillers with style can feel awfully hard to come by. 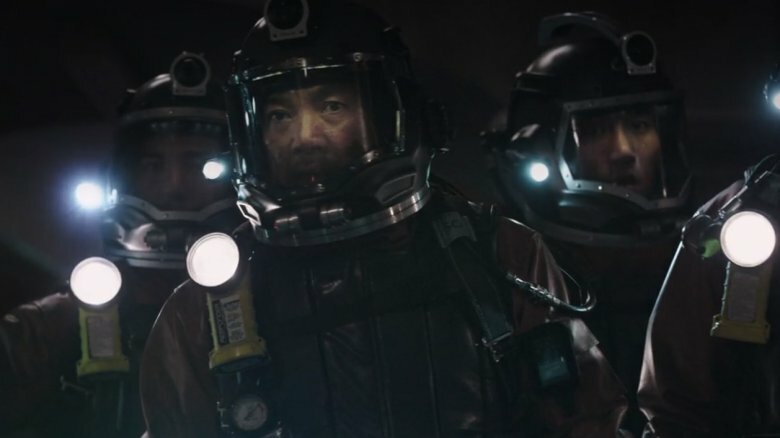 If that's your kind of thing, chances are you've probably seen all the good ones (and way too many bad ones), which makes Spectral even more of an unexpected treat and a definite Netflix hidden gem. Following a team of U.S. Special Forces soldiers who stumble across a mysterious new enemy while they're off on assignment in Moldova, Spectral jacks the action up into the stratosphere with lightning-quick combat scenes and several nail-biting moments of true, unadulterated terror. The present-day war-torn environment grounds the action even as the movie leaps into the realm of pure science fiction. 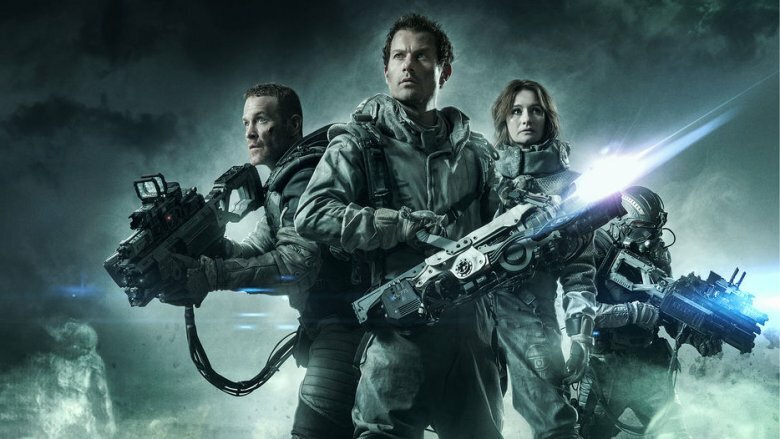 In the end, Spectral admittedly falls short of cinematic perfection, but it still more than delivers what it promises: a bunch of dudes fighting for their lives against an otherworldly threat. Stick it on, crank up the volume, and enjoy the ride. 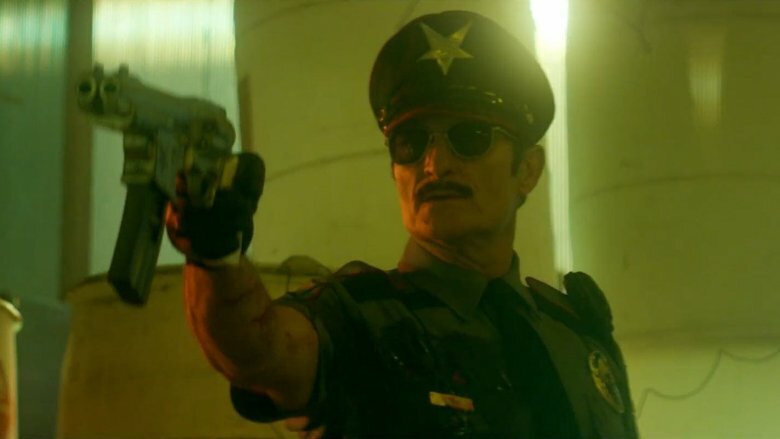 Let's just preface this entry by saying that you can't–and shouldn't–expect a lot from Officer Downe. Based on the 2010 graphic novel, the movie is a hyper-stylized splatter-fest about a cop who can't die. Well, he can. He just comes back to life again. That's about it as far as plot goes. There's a criminal organization that dresses like animals, some gun-toting nuns, and a clan of ninja-type people, and as you'd expect, they all take turns trading blows with undead supercop Officer Downe. Fortunately, the movie doesn't ask or expect the viewer to take any of this seriously. It doesn't even ask you to care all that much about who these people are—instead, all it really wants is to have gunfights and explosions, and in that respect, it does okay. Not great, necessarily, but okay. Just turn off your brain and let Downe take care of the rest. 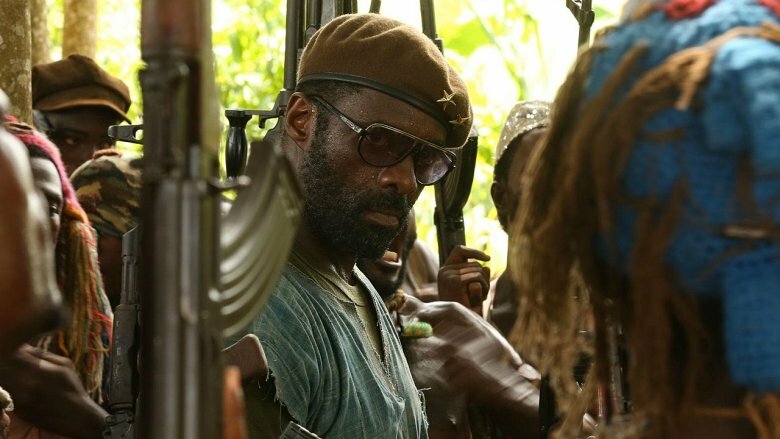 Netflix made its first major foray into original films when it acquired Beasts of No Nation. Directed by True Detective vet Cary Fukunaga, this brutally effective 2015 drama tells the harrowing, powerful tale of Agu, a West African child caught in a civil war and recruited to a rebel militia as a child soldier. Idris Elba gives a commanding—and occasionally terrifying—performance as the militia leader who orders his soldiers to perform ever more horrific acts. Beasts of No Nation never had a prayer at the box office—partly due to its uncompromising subject matter, but also because of the ongoing struggle between Netflix and the nation's biggest theater chains, whose execs have resisted the streaming giant's efforts to narrow (or eliminate) the gap between big-screen releases and a film's availability for home viewing. For that reason alone, Beasts missed the boat with most viewers, but this powerfully acted drama definitely deserves to be seen. Another winner from Netflix's stable of original films, The Fundamentals of Caring takes the "road movie" formula and gives it a good-natured, offbeat twist. 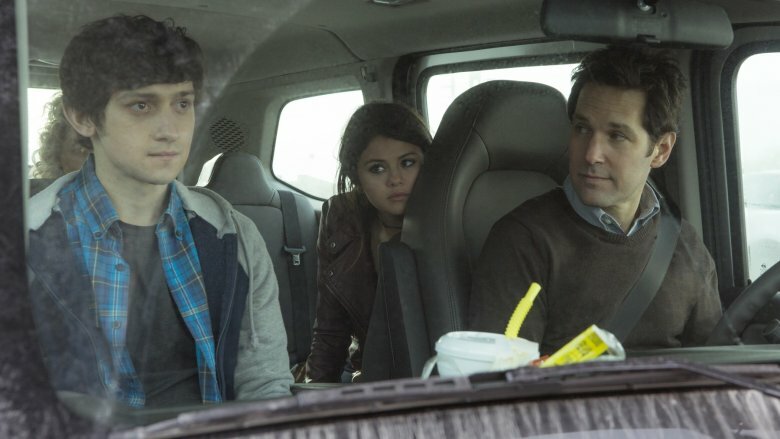 Paul Rudd and Craig Roberts team up as, respectively, a caretaker and a teen afflicted with muscular dystrophy out to explore the country and themselves—and the duo get unexpected company when they pick up a hitchhiking Selena Gomez along the way. Road trip dramedies aren't exactly hard to find, and in terms of quality, the genre's familiar narrative arc has long since settled into a predictable rut filled with wacky quests, beautiful vistas, funny montages, and seemingly insurmountable obstacles that get swept away in the final act. The Fundamentals of Caring includes most if not all of those time-tested ingredients, but the excellent cast—and writer-director Rob Burnett's deft touch with the material—make the movie's more unsurprising moments easy to forgive, and the whole thing adds up to an enjoyably diverting journey. It's awfully hard to talk about The Invitation without spoiling the best parts, so we'll just keep it simple and leave it at this: if there was ever a dinner party that went downhill, it's this one. 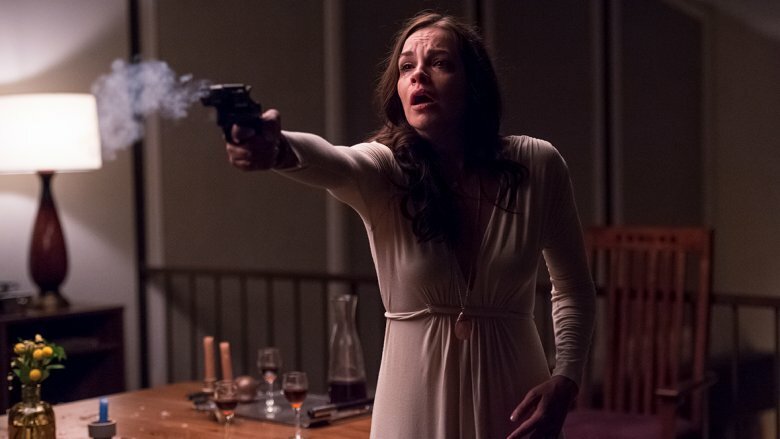 Director Karyn Kusama loads the movie with tension right from the start and builds the drama in a way that leaves you guessing right along with the characters. The twisty story is brought to life by great, low-key performances from Michiel Huisman (Game of Thrones) and Logan Marshall-Green (Prometheus)—not to mention Tammy Blanchard's turn as an edge-of-crazy housewife. With corkscrew tension that irrevocably mounts as the evening gets later and the party takes a series of turns into the progressively surreal, The Invitation is a swan dive into paranoia. It's also a welcome change of pace for Kusama, whose previous films, Aeon Flux and Jennifer's Body, weren't exactly gems themselves, hidden or otherwise. Who knew a film with a cast of exactly two people could be so enthralling? Yeah, you might groan at first: if Creep had a downside, it would be the decision to make it in jerky, handheld, found-footage style—the filmmaking version of that jar of pickles in the back of your refrigerator that's been there for years but never seems to gets thrown away, and every now and then it's in a different position, so someone's eating those pickles, although God knows who. BUT: Creep pulls it off. And beautifully at that. In fact, this may be the first film since The Blair Witch Project that couldn't have been filmed any other way, and arguably the first good one. Creep switches seamlessly between drama, comedy, and horror thanks mostly to a near-perfect performance by mumbling maniac Mark Duplass. Whatever else you take away from it, there's no doubt Creep will give you the creeps. 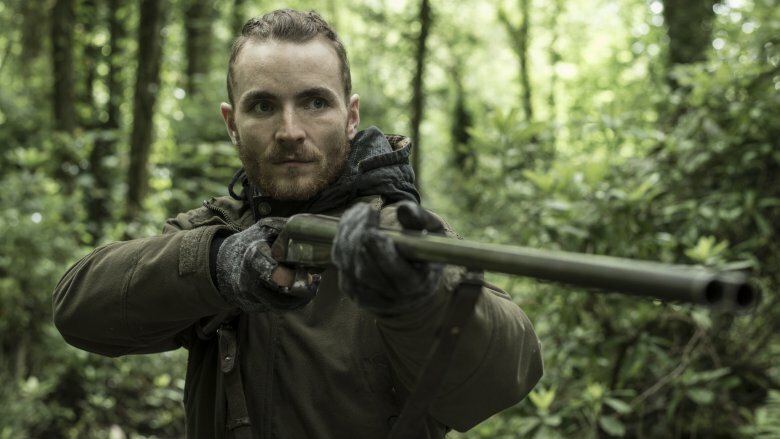 Like its protagonist, The Survivalist takes no prisoners in its visceral portrayal of a post-apocalyptic landscape where food is scarce and trust is rarer still. Similar to Cormac McCarthy's The Road, the main character is never given a name and rarely speaks, but watching it, you feel like you know every thought in his head—a testament to Stephen Fingleton, who wrote and directed, as well as lead actor Martin McCann. The story is simple enough, but still captivating once it gets rolling. A man who's been living alone for years in a food-starved future gets an unexpected visit from two women. From there, his ordered–if paranoid–life quickly breaks down. Don't expect any breaks from the desolation–The Survivalist starts and ends like an ax head scraping bone, moving with a slow, deliberate current that'll pull you under if you aren't careful. If you're looking for background noise to play Temple Run to, you'll probably get bored with this movie. But if you give it all your attention, you're in for a surprisingly thrilling journey. Call him Frodo all you want, but Elijah Wood is working hard to reinvent his image as an actor, and we can totally respect that. From his mannequin-obsessed killer in 2012's Maniac to his dirty cop con man in 2015's The Trust (a soft #4 on our list of every Nicolas Cage movie on Netflix, ranked), Wood is clearly capable of branching out. 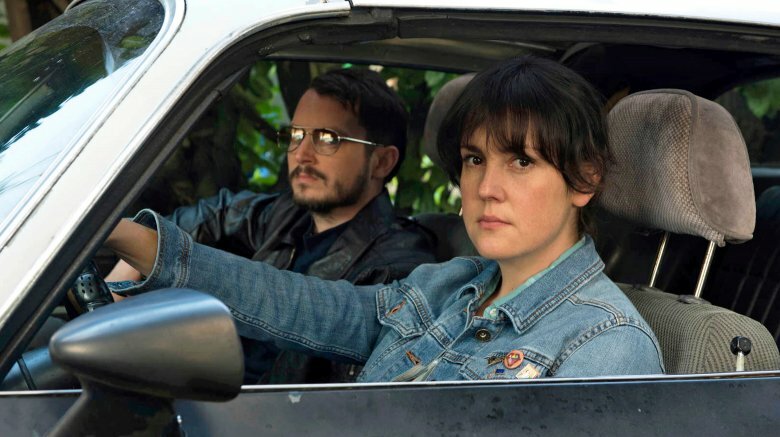 In I Don't Feel at Home in This World Anymore, Wood plays a geeky loner who teams up with a woman in his neighborhood to find the people who robbed her house. Don't let the title bog you down. It's a black comedy extracted from the varicose veins of the Coens' Fargo and Burn After Reading, a subtle, escalating thriller about two everyday people thrust over their heads into a world of crime where anything can—and does—go wrong. IDFAHITWA (nope, just as bad) is moody, occasionally hilarious, and surprisingly poignant. 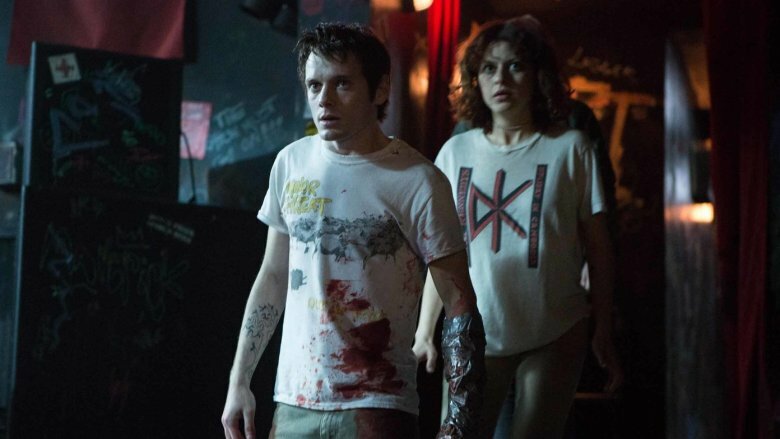 The occasional (or frequent) bad gig is a necessary stumbling block for a young band paying its dues, but Green Room isn't a Spinal Tap-esque comedy about the indignities musicians face, like filthy dressing rooms, indifferent audiences, and club owners that won't pay up. No, it's a claustrophobic, intense, and at times horrific pulse-pounder about a regular punk band (whose members include Imogen Poots, Alia Shawkat, and the late Anton Yelchin) that just wants to hit the stage of a seedy concert venue. They get waylaid when they're stuck in the "green room" (the backstage waiting area) because the venue is actually a Nazi skinhead bar, and one of the musicians sees the body of a freshly murdered woman. The bad guys then hold the band hostage until they can kill them. (Their leader is the worst of all, portrayed by a very much against type Patrick Stewart.) It's an intense, compelling, low-budget horror movie of a different stripe, and one from which not everyone gets out alive (or intact). We've never watched much Bollywood, so we honestly can't tell if Makkhi is making fun of Hindi films or comfortably nestled at the heart of it all. 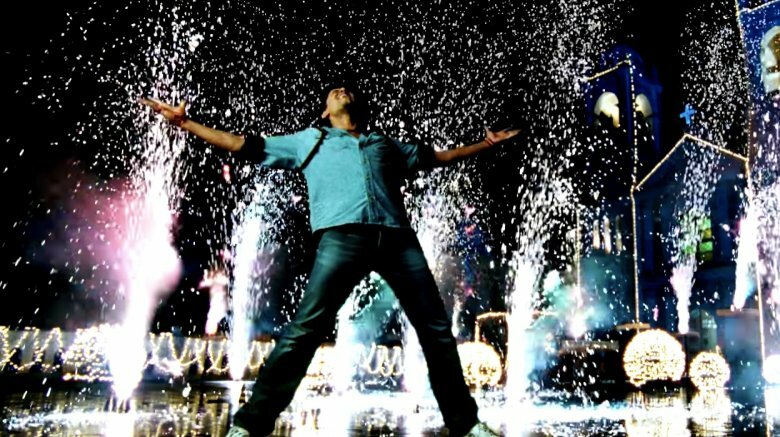 The absurdity feels intentionally cranked to 11, but then again, there's also a distinct possibility that a song-and-dance number followed by a Rocky training montage for a reincarnated fly is completely normal for Bollywood, and we've been living our whole lives blissfully unaware up to this point. If everything tastes like chicken in the Matrix, Makkhi is your first bite of pineapple: tangy, strange, and dangerous if you aren't careful. Here's the premise, and we'll just get this out as quick as possible: A fly born from the soul of a dead man goes on a revenge rampage against the guy who killed him. It's John Wick crossed with A Bug's Life crossed with…we don't know. La-La-Land, maybe? There's a trippy Ant-Man vibe to the visuals and explosive action sequences, all tied into a to-the-death battle between a man and, well, a housefly. As far as hidden gems go, this one's like stumbling across a dead unicorn in the woods. It's majestic, you just don't know what the hell to do with it. Hitler's still something of a controversial figure in Germany. Okay, sure, the guy's controversial everywhere—he's Hitler. But Germans have the added headache of being the country that, how do we put this…tried to kill half the world. It's like being born into a family famous for having that one uncle who founded the KKK. In that light, this German satire is both unexpected and surprisingly hilarious. Look Who's Back starts with Hitler waking up in in a park in modern Berlin, still in uniform, with no idea how he got there. The first people he meets think he's a crazy hobo, the next ones think he's a Method actor doing a bit, and before long, Hitler's all over the news as the next big German comedian…and the people love him. In fact, it's less a satire on Hitler and more a social commentary on modern-day German nationalism and the country's attempts to move on from a particularly dark historical period, even while some of the population seems willing to welcome a Hitler-like figure back into their midst. On top of all that, it's pretty funny. Look Who's Back is definitely a weird combo, but it's one that happens to work extremely well. There's nothing particularly amazing to say about The Trust. It's a by-the-numbers heist thriller about two cops who decide to steal a drug dealer's stash of cash via a convoluted plan involving disguises and hi-tech machinery. But if there's one fact of life that separates us from the animals, it's this: anytime Nicolas Cage puts on a mustache and says, "I have an idea… It's kind of wacky," you'd be crazy not to stick around for the ride. In the end, it's dual leads Nicolas Cage and Elijah Wood who elevate The Trust from a forgettable crime whatever into a quirky, fun, still fairly forgettable, but entertaining crime thriller. Wood has an offbeat comedic touch that's hard not to like, and Cage is, well, Nicolas Cage. Even if he's not at full Cage capacity in this movie, he's a good part of the way. He's sailing at half-Cage. A little cheesy and a little sweet, The Tiger Hunter is the heartfelt story of an Indian immigrant in the late '70s who came to America in search of a job, only to find something even better — a purpose. It's a total feel-good movie from start to finish, but don't let that keep you away. This is the kind of hidden gem you save for watching after a terrifying horror movie or a double dip of depression like Million Dollar Baby or anything with Sean Penn. In other words, it's Prozac with cinematography. 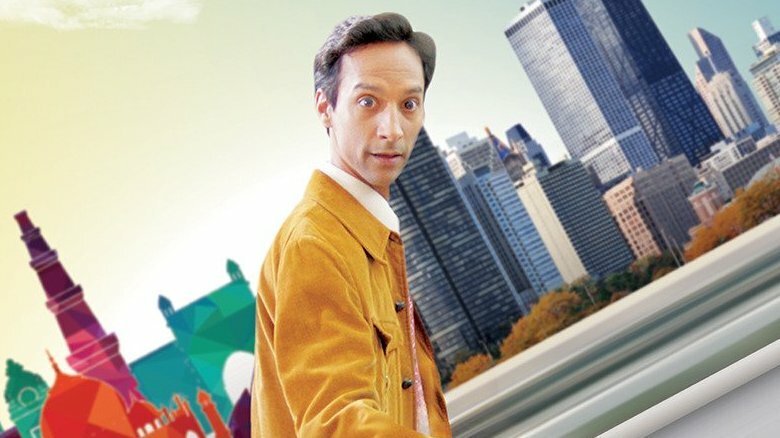 Most of that comes from Danny Pudi, otherwise known as Abed from NBC's comedy series Community. He's the glue that holds this wishy-washy story together, and his natural charm also manages to fix the parts that get a little too cringe-inducing. You won't laugh or cry, but you'll chuckle and smile at the sweetness. And sometimes, that's all you want out of a movie. Sometimes that's enough. For just about every high-profile, Oscar-winning film the Coen brothers put out, they release another low-key movie that slips under the radar and goes virtually unseen. After Raising Arizona came Miller's Crossing; after O Brother, Where Art Thou? came The Man Who Wasn't There; and after No Country for Old Men, we got A Serious Man. 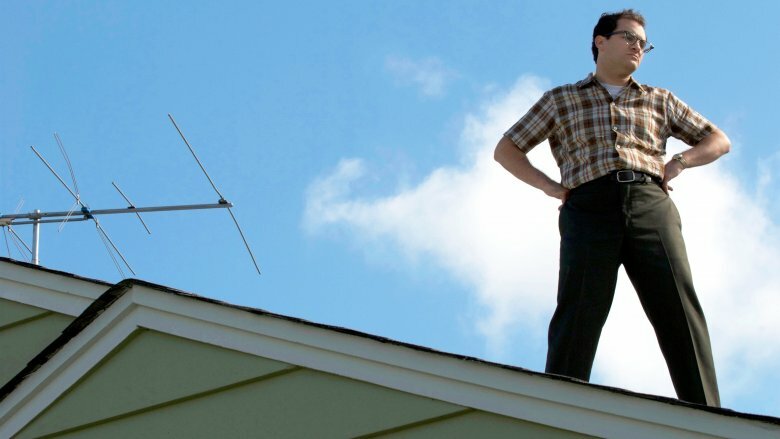 Even by Coen standards, A Serious Man is an unusual movie. It starts with a subtitled prologue set in the 19th century and then moves into a suburb in the Midwest circa the late '60s. The main character is Larry Gopnik, a Jewish husband, father, and physics professor whose life is slowly but surely derailed by a chain of events completely beyond his control. In search of answers, he visits three rabbis to figure out the meaning of life. It's not the Coens' best movie by a long shot, or even their best comedy (although being a Coen brothers film, there's always going to be someone ready to dispute that, with violence if it comes to it). In the end, you'll probably come away scratching your head. But maybe you'll also watch it again a year later, because there's something there, something you can't put your finger on. There has to be something holding it all together. Or maybe, just maybe, none of it means anything. We'll come right out and say that there's nothing lighthearted about Christine. Not to be confused with the Stephen King thing about the demonic car, this is a 2016 biopic about Christine Chubbuck, a Florida news reporter who shot herself on live TV. 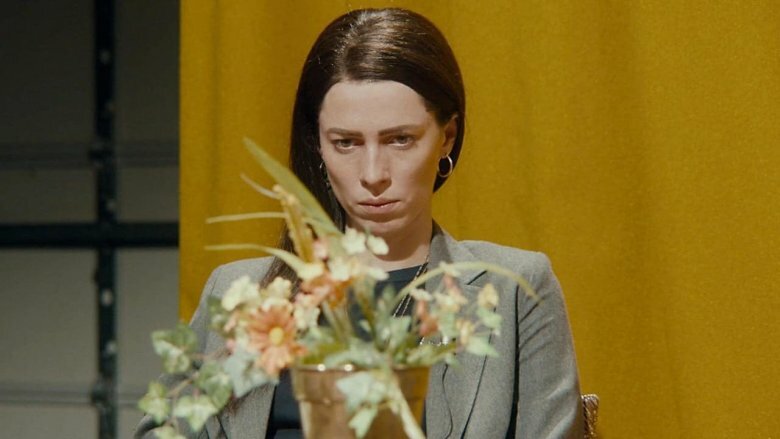 Starring Rebecca Hall in the lead role and Dexter's Michael C. Hall (no relation) as her co-anchor, the movie focuses on Christine's life leading up to the event, and dang, it is nothing less than a sprint through broken glass. Hall portrays Christine with such power that it's impossible to look away, even while the sense that the elevator's about to drop down the shaft grows to a shrieking crescendo. It's a sad, heartbreaking character study along the lines of Punch-Drunk Love, except that it doesn't even pretend to offer any hope before crushing your soul; it just grabs a hammer and starts breaking off chunks. Is it good? Yes. Will it wither your faith in humanity? Also yes. Look, this is just one of those gems that you'll have to take your chances with. 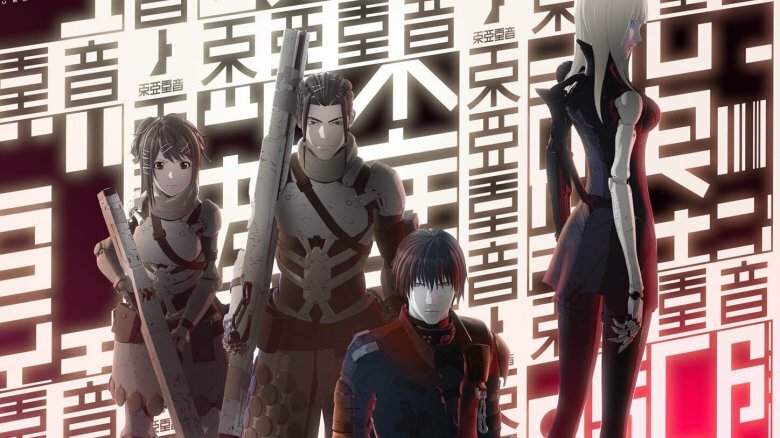 There seem to be two camps when it comes to this Netflix animated film — those who like the original manga hate the movie, and those who haven't read the manga generally enjoyed it. At least, they enjoyed it if they're the type of person to watch a feature-length anime in the first place. But love it or hate it, when it comes to fresh takes on the apocalypse, Blame! has most any other futuristic vision beat, hands down. That's what makes this film so intriguing. In a seemingly endless, continually growing city that goes for miles up, down, and in either direction, robots have taken to exterminating humans. But a small band of people has survived for centuries inside an invisible shield that keeps the robots out. They don't know why the robots can't get inside their colony; they just know that going outside means risking life and limb at the hands of predatory robots. It's only when a stranger comes to their town that they realize there may be a chance to do something about their predicament and finally stop the expansion of the city. It's not a perfect movie, but for vision alone, Blame! is well worth watching. There's definitely a genre you could stick The Vault in, but it's pretty unwieldy. All said and done, this is a supernatural crime horror thriller, better known as one of those supe-cri-ho-thros you're always hearing about. 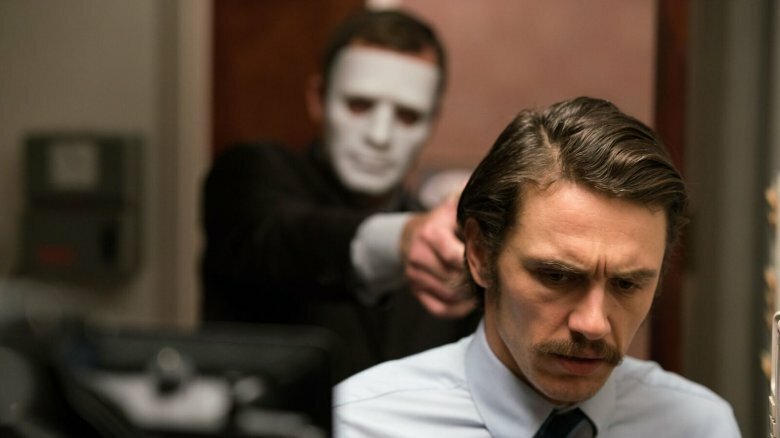 James Franco headlines The Vault as the assistant manager of a bank that gets knocked over by a group of petty thieves. The twist is, the bank is haunted. When Franco leads this heist gang down into the underground vault, they get more than money. They get ghosts. You won't be rocking back and forth in terror from The Vault, although it does have its chilling moments. You won't end up rooting for the thieves, like Don't Breathe, although it does open them up to empathy eventually. And you definitely won't be chuckling at James Franco's silly antics, because he's a stone-faced, mustachioed man on a mission once things really get rolling. What The Vault lacks in such departments as characterization, script, and suspense, it more than makes up for in ghosts. Bunches of ghosts. If you love ghosts, you'll easily tolerate The Vault. Starring Michael C. Hall and Sam Shepard, Cold in July begins with a quiet family man who shoots a burglar in his house. Soon, though, his family is being terrorized by the departed young man's angry father, who's fresh out of prison and out for revenge. While that alone would make for an interesting, if predictable film, Cold in July quickly switches gears as these two men realize that there are bigger stakes involved than their petty revenge tale. 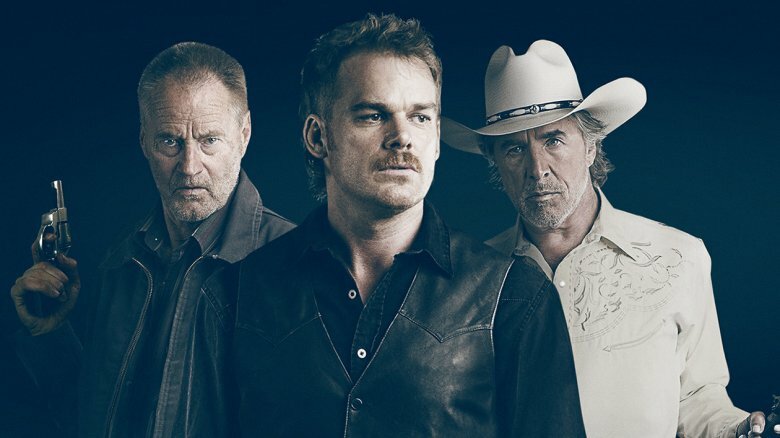 One of Cold in July's biggest strengths is that you never guess where the story is going next. Each new twisted development takes the characters in an entirely new direction, and we won't ruin it here by describing what happens. If there was a downside to the whole thing, it's that the ending is over a little too quickly, but it's not enough to ruin what's otherwise a solid, engaging movie. 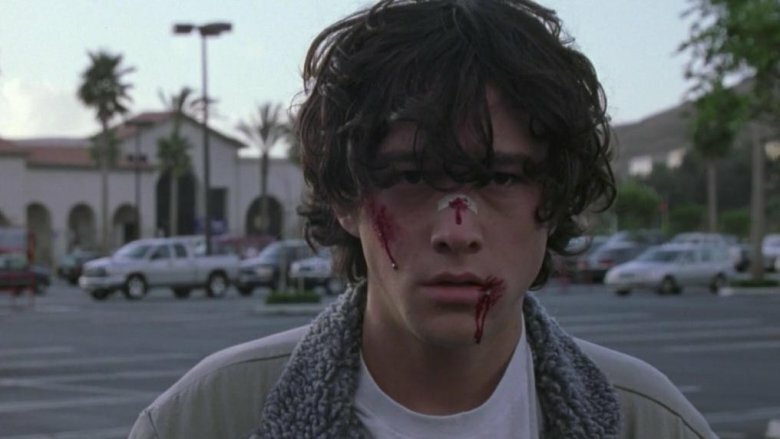 This coming-of-age story has all the staples of the genre — high school friends, teenage drama, house parties, and pubescent angst. But for two best friends, a traumatic experience may be too much for them to reconcile. 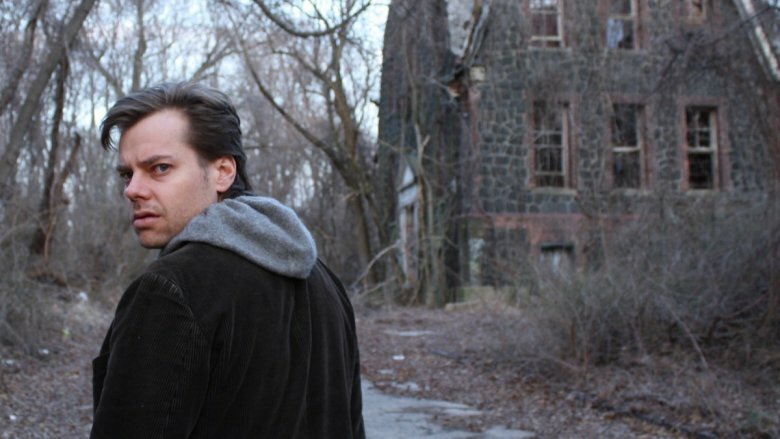 In his feature-length debut, director Kevin Phillips has crafted a tight, unique teenage thriller. The rich atmosphere and superb performances from a relatively unknown cast add weight to an already heavy script that deals with issues that are, unfortunately, extremely topical. Even though the setting is different — the '90s — the subject matter of Super Dark Times would work just as well set in the modern day. This isn't an easy movie to watch. Although other films may be more gratuitously violent, Super Dark Times doesn't offer a hint of escapism in its few, swift brutal moments. This is a story that (until the end, at least), could happen in any neighborhood in the country. If you're looking for lighthearted viewing, you'd be better off queuing up something else. 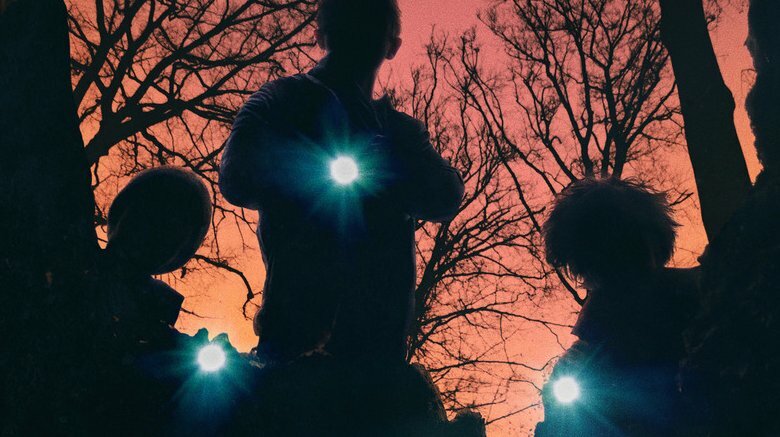 But if you want to experience a superb film with a painful message that may be hard to swallow, you could do worse than Super Dark Times. Just when you thought Annabelle had a monopoly on the haunted dolls genre, along comes The Boy. On the surface, this is a movie about a young American nanny who takes a job watching the son of an elderly couple in the English countryside. She thinks it's a joke when she finds out that their son is actually a porcelain doll named Brahms, but soon begins to suspect that there's more to the doll than meets the eye. 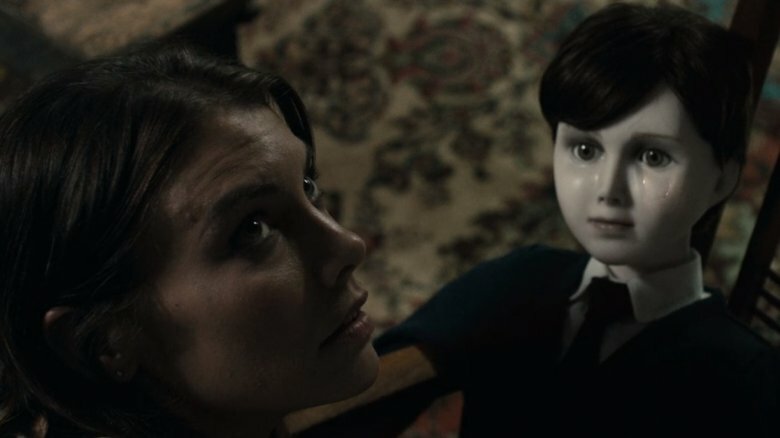 As a pure genre excursion, The Boy is a decent horror film, with enough scares and creepy atmosphere to satisfy most people. Underneath the familiar plot line, however, The Boy realizes that haunted dolls are, to be honest, pretty silly. It manages to poke fun at itself enough to keep the events from getting too ridiculous, all while delivering a satisfyingly creepy story and a solid twist ending. Critics didn't find much to like about the movie, but don't let that steer you away completely. The Boy is a lot of fun, and there are definitely worse things to watch on a Sunday afternoon. 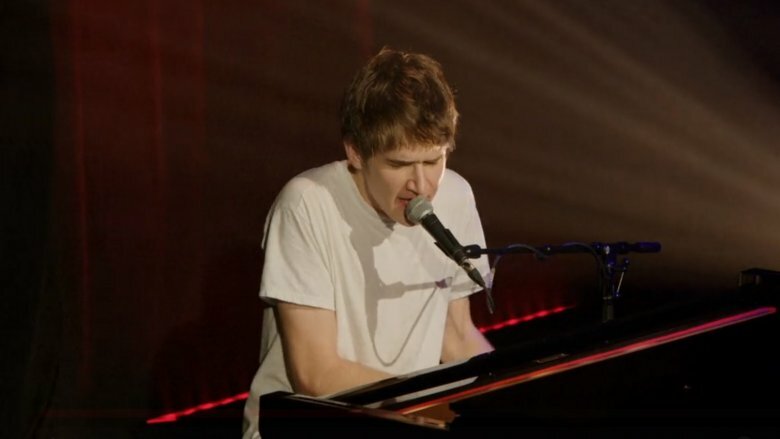 It'd be a stretch to call what Bo Burnham does on a stage "stand-up comedy." It's more like a one-man show starring a 20-year-old on the verge of a mental breakdown, but with jokes. Yet somehow, there's genius in the madness. Using everything from musical numbers to choreographed skits to poetry readings, Burnham uses his stage time to deliver an irreverent, unforgettable experience. And while Burnham's other special on Netflix, 2016's Make Happy, is probably a more polished show, his 2013 special what. is nothing short of raw, pitch-perfect insanity. Even if stand-up comedy isn't usually your thing, you'll have a hard time getting through what. without cracking a smile at the very least. There's a battle between two halves of a brain, a story about frogs, and a humble song from the perspective of God, and that's just the beginning. Fair warning though: It can get pretty raunchy, so make sure you put grandma to bed before you queue it up. Every now and then, a truly inspired story shows up out of nowhere, then disappears again because the studio didn't have enough of a budget to market it. That had to have been what happened with He Never Died, because there's no other reason it isn't more well known than it is. In this low-key, darkly funny supernatural movie, Jack is a private man with simple pleasures. He likes to sleep. He likes to play bingo with old people. He likes vegetables. And yet somehow, he keeps getting drawn into situations where his only option is to brutally murder people. As the movie plays out, it's slowly revealed that there's a lot more to Jack than meets the eye. By the time he's pulling bullets out of his forehead with tweezers, you're trying to figure out not only who he is, but also what he is. Was he really in the Bible? What's with the cannibal thing? Is bingo really that exciting? 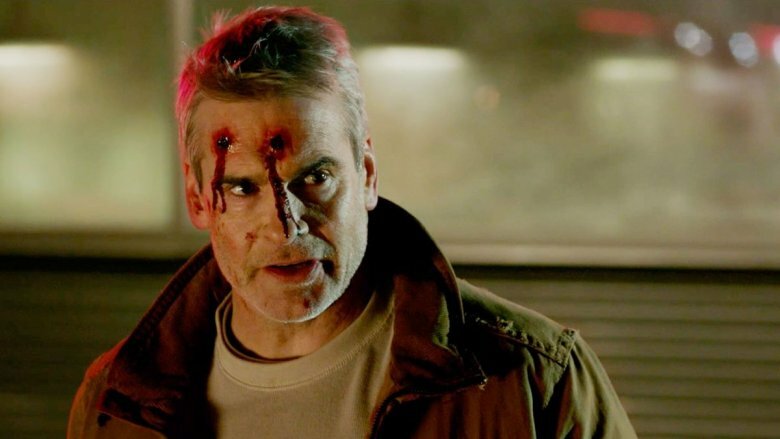 These are just a few of the fun questions you'll ask yourself as you watch He Never Died. Anchored by an awesome, deadpan performance from lead Henry Rollins, this is definitely a movie worth checking out. Is The Tiger the greatest love story ever told? It's definitely on par with, say, Romeo and Juliet or Lethal Weapon 2 in that it's an unconventional love story that's filled with tragedy, but in a way it's even greater than those timeless tales. 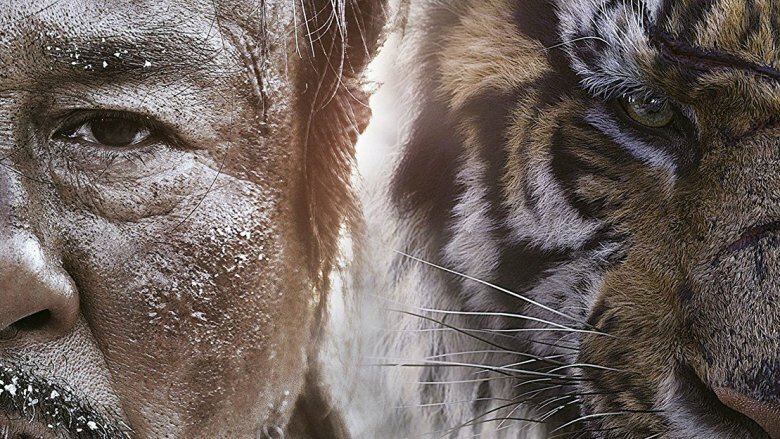 The Tiger tells of the bond between a lonely old hunter (Oldboy's Min-sik Choi) and his nemesis, a massive, ferocious feline roaming the mountains of Korea. When the army tasks the hunter with tracking down and killing the man-eater, he embarks on a quest that will bring him closer to death than ever before, but also into an unexpected spiritual understanding with his greatest enemy. Sure, it sounds like a movie about a dude hunting a tiger. Which it kind of is. But beneath those sharp fangs and fuzzy exterior, The Tiger is an emotional, action-packed fairy tale about life, love, and loss. It's also sitting pretty with a 100 percent Rotten Tomatoes score as of this writing, so that ought to mean something. This underrated Australian gem doesn't offer much viewing incentive in either its title or its description, which may be one of the reasons it's flown under the radar. That's a shame, because it's one of the most imaginative movies you're likely to see anytime soon. The events of the film play out over one fateful Halloween night, as two former friends — one now popular, the other a social outcast — reunite for a long walk home filled with stories about childhood and their lost friendship. It might sound pretty stupid, but Boys in the Trees is more interesting than it sounds. It unfolds like a kind of modern rendition of Dante's Inferno, as Dante is led deeper into hell by Virgo. 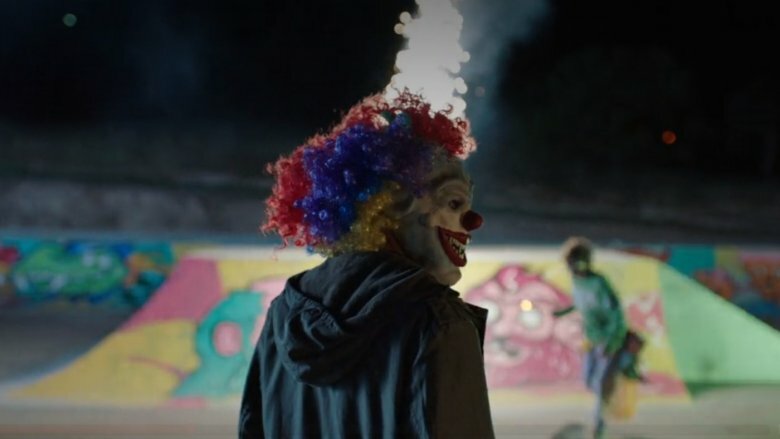 Through each story told throughout the night, the film takes on an increasingly dark fairy tale tone, supported by fantastically trippy visuals and anchored by the real-life social conflicts each character faces in their normal life. First-time writer/director Nicholas Verso balances those two sides of the story perfectly, never letting the fantasy cheapen the reality of the film — or vice versa. It's both visceral and filled with childhood wonder, making this a rare gem indeed. Netflix ships in a lot of TV shows from around the world, exposing audiences to material they'd never find flipping through a cable lineup. One such show is English cult favorite Toast of London. 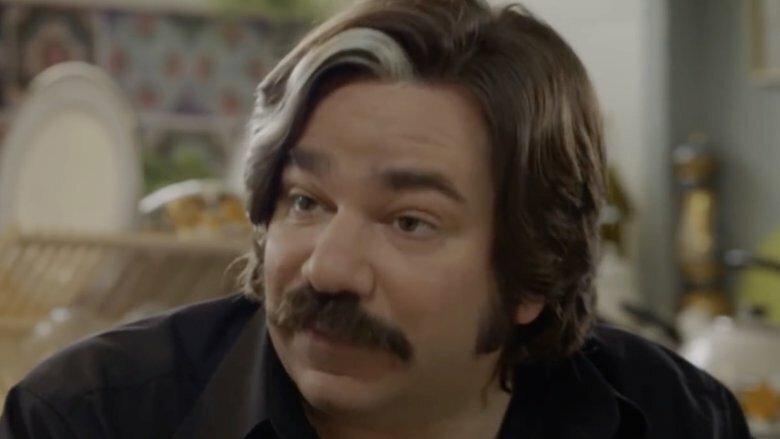 Matt Berry, the spectacularly voiced star of beloved Britcoms like The IT Crowd and Garth Marenghi's Darkplace co-created and stars as Steven Toast, a London-based stage actor who thinks he's a legend but in reality is forever teetering on the brink of obscurity and oblivion. That reality is also rather surreal: Toast of London follows Toast as he stars in critically savaged stage productions, tries to get the attention of his shifty agent, waxes nostalgic about acting triumphs of the past with his flatmate, sleeps with the wife of his personal and professional nemesis Ray Purchase, and makes ends meet doing voiceover work for an odious and hostile producer with the wonderful name of Clem Fandango. As if that wasn't enough, each episode's chaotic absurdity gets cut with melancholy musical numbers expressing Toast's self-doubt and loneliness. Humanity's fate rests in the hands of an ineffectual middle-class English guy named Neil (Simon Pegg), who has a hard time with his new powers. After he accidentally blows up a classroom and triggers a worldwide zombie outbreak, he goes back in time to reverse it all, but then does stuff like give his dog the power of speech. Most of his good deeds backfire, but can Neil succeed where literally no other alien race discovered by the council has? The human cast, which also includes Kate Beckinsale and Rob Riggle, is stellar, and so is the voice cast. Robin Williams portrayed Neil's dog Dennis, while the aliens are voiced by Jones and every other living member of Monty Python. 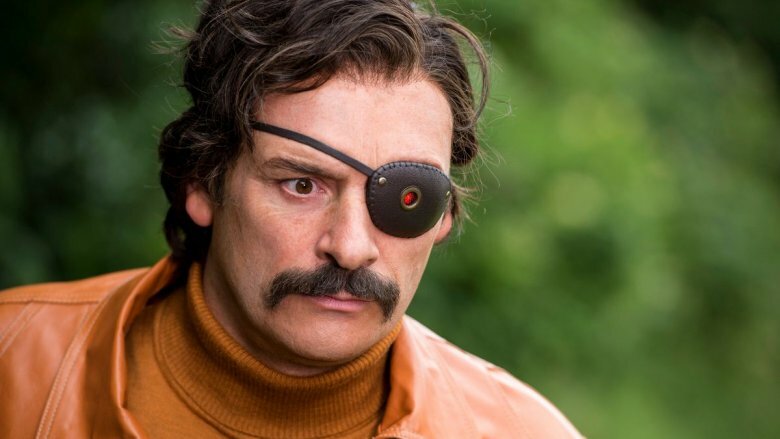 In this wry and silly comedy, Julian Barratt, best known for starring in the delightfully weird British series The Mighty Boosh, plays Richard Thorncroft, an actor best known for a sci-fi cop drama from the '80s called Mindhorn, in which he played an investigator who could solve mysteries with the aid of a cybernetic eye. Flash-forward 25 years to the Isle of Man, near where Mindhorn was shot, as police pursue Melly (Russell Tovey), an escaped mental patient wanted for murder. He's willing to cooperate, but only if he can deal with Mindhorn… a fictional character. 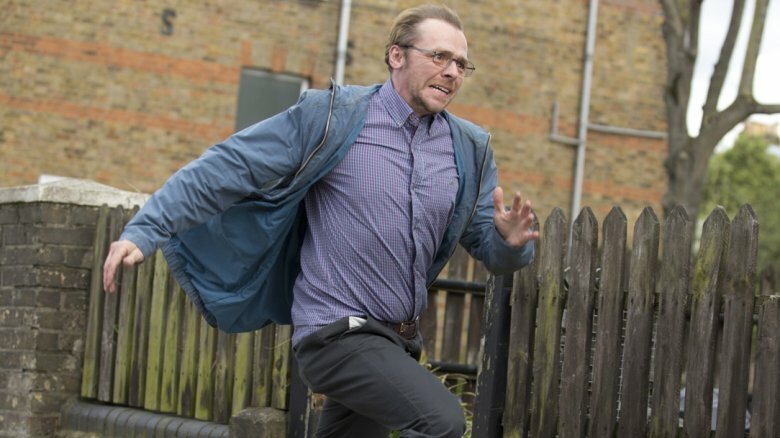 Richard, however, is more than willing to help out police by heading back to the Isle of Man (where his co-star and former lover still lives with their daughter), despite having no actual police skills but really looking to step out of his sad, post-fame existence. There are few funnier places than that spot in the human psyche where delusion meets arrogance, and that is the area where Mindhorn comfortably resides. Over the last decade or so, the Chinese film industry has exploded, producing big movies on par with Hollywood blockbusters. And as the Western canon provides a rich history of fantasy — e.g., The Lord of the Rings, Game of Thrones, The Chronicles of Narnia — so too does China with Novoland, a sprawling, 30-book series written by multiple authors that concerns a made-up, quasi-medieval and magical universe. Legend of the Naga Pearls marks Novoland's auspicious U.S. streaming debut, which Netflix acquired to expose to a much larger audience than it reached when it played in four American theaters in 2017. The story is set in the mythical city of Uranapolis, where ho-hum humans and the angel-like Winged Tribe lived side-by-side, but with some hostility. A war between the races led to the dominance of the humans and the Winged Tribe losing its flying abilities. 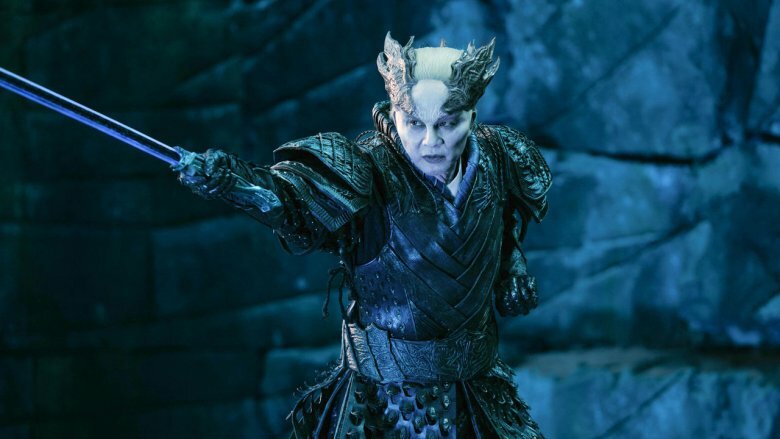 The movie picks up with Xue Lie (Simon Lam), an angry and possibly evil descendant of the most royal of the Winged Tribe, going on an adventure to locate the fabled Naga Pearls, which would destroy the humans once and for all. Those pearls, however, accidentally wind up in the possession of a human prince, constable, and thief, and they do everything they can to keep them out of Xue Lie's hands, a process which involves epic battles and dazzling fight and flight sequences. Here's a compelling, and at times unsettling, movie that never quite goes where the viewer thinks it's going… while always providing a shred of hope that things might go well for its characters, even when the situation gets really dicey (and the movie gets ever darker). 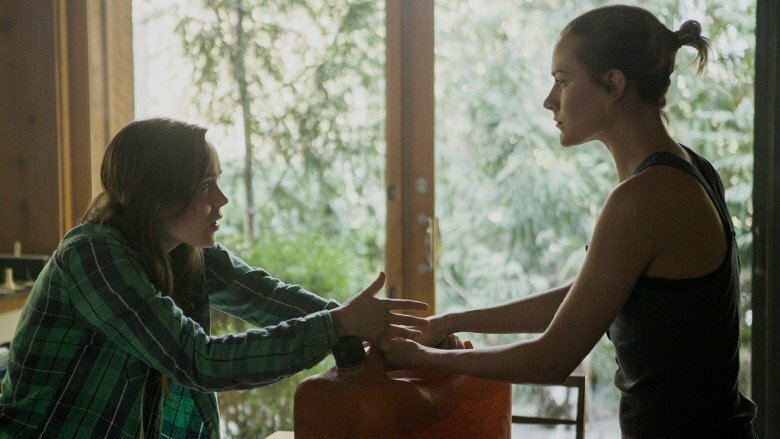 We come in on two young women, Nell (Ellen Page) and Eva (Evan Rachel Wood), who live in a stately, window-covered home with their father (Callum Keith Rennie) in a beautiful, remote part of a forest. There's a far-reaching collapse of the national grid, but Nell and Ellen continue to live their lives as best they can. But then the blackout continues, time passes agonizingly, the food and supply reserves dwindle, and some truly horrific things happen as Nell and Eva, far from civilization, wonder if society has completely collapsed — and fight for the lives they once took for granted. Eventually, they can't wait around anymore and must fend for themselves by heading… into the forest. Curious Creations is itself a curious creation. It's a showcase for Christine McConnell, an Instagram sensation who constructs hilariously elaborate and impressive cakes, bakery sculptures, and crafts, often with a goth or horror bent. But there's a lot more to the show than making a tea set out of chocolate or cookie Ouija board —it's also darkly hilarious sitcom. 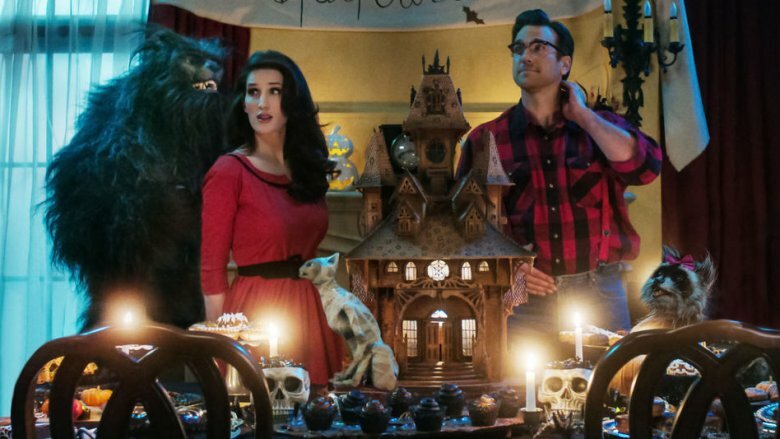 It takes place in a fictionalized McConnell's idyllic home… which she shares with puppet creatures. Among them are Rose, a trash-eating talking raccoon with a fork for a hand that McConnell proudly brought back from the dead; Rankle, a mummified cat straight out of ancient Egypt;, and Edgar, a werewolf who almost killed the mail carrier. Other characters pop in, too, like a cousin who tries to burn the whole place down and kill everyone inside, an axe-loving suitor named Norman (as in Bates), and a friendly ghost that lives in her home's mirrors. It's the Addams Family meets The Muppet Show meets Cake Wars you never knew you wanted. 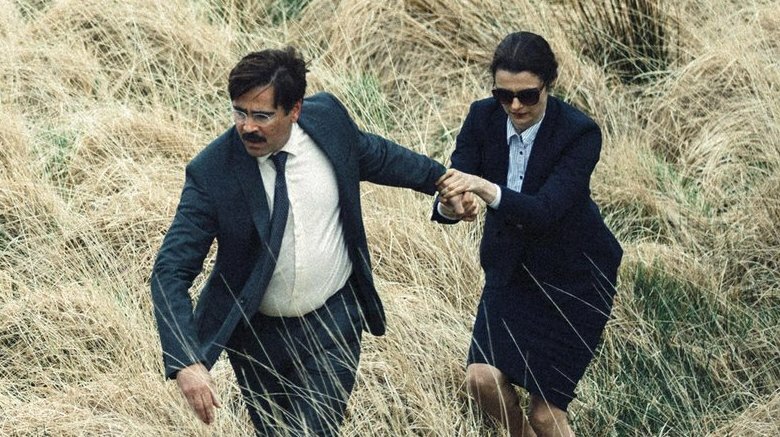 You've never seen anything like The Lobster. It's a dystopian story, or possibly utopian story, but it doesn't seem to be set in the future… only its version of modern-day life is somewhat askew. In this world, society is so committed to pairing people that those who go too long being single are transformed into animals. These are the stakes facing David (Colin Farrell), who goes to live at a hotel/camp that pairs up lonely hearts before their final 45-day single period ends. (David's dog companion, for example, used to be his brother.) If they have trouble finding a mate (who must have a distinguishing characteristic in common, such as a limp or a lisp), they can buy extra time by going out into the woods to hunt down those who choose to remain unattached (and must subsequently live off the grid). David eventually joins up with one of these militant singles collectives and falls in love with another "loner" (Rachel Weisz), but ironically, it's against the rules of the singles group for them to be together. As if all of this wasn't weird enough, the surreal storytelling is taken up a notch by the characters' tendency to speak in stilted, almost rehearsed tones. It all careens toward an ambiguous climax that speaks to the the wild things people will do to find love — and keep it. Yes, this is a romantic comedy, but it's by no means a trite, by-the-book romantic comedy. For one, it stars Ryan Reynolds, who delivers a very on-brand performance: sarcastic, flippant, and yet still engaging and charming. It's also a story told by a purposely unreliable narrator — Will (Reynolds), a guy going through a divorce who explains the story of how he met his now-ex-wife to his daughter, Maya (Abigail Breslin). He makes a fun game out of it, obscuring details — including names — so as to make Maya try to guess which of Will's '90s-era flames is the one with whom he settled down and started a family. Was it college girlfriend Emily (Elizabeth Banks)? Journalist Summer (Rachel Weisz)? Fellow Clinton campaign worker April (Isla Fisher)? Any of them could be "the one," and it's hard to count anybody out. A rom-com free of rom-com cliches, Definitely Maybe packs so many twists, turns, and unexpected surprises that it's almost as head-spinning as real-life love. 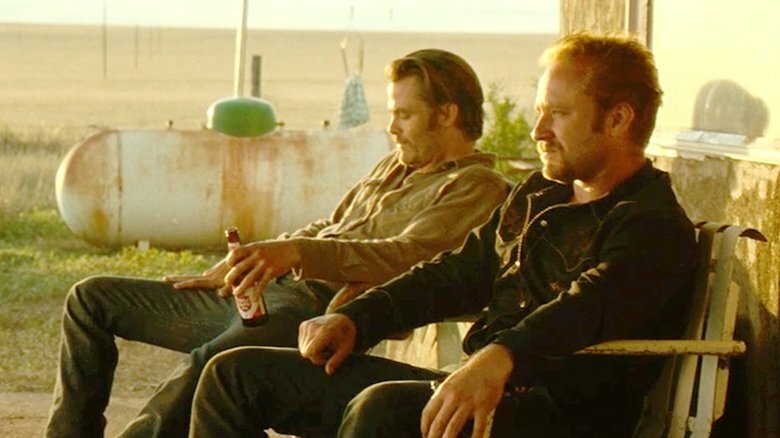 Hell or High Water takes old fashioned Western movie tropes — outlaws, stoic sheriffs, the need for justice — and sets them in the present day. The result: a story where the bad guys have their understandable reasons for being bad, and the audience may not even want the "good guys" to win. The true villain of Hell or High Water is the economy. Facing bank foreclosure on their birthright — the West Texas ranch that's been in the family for years— brothers Toby and Tanner Howard (Chris Pine and Ben Foster) hatch a plot to get the money to save it. They hit up the very same bank's branches in distant, dusty towns and steal the money they need to essentially pay the bank back its own money. Toby, a divorced dad, is a somewhat reluctant robber, while Tanner is bit of a wild card, an ex-con who seems to delight in the excitement (and violence) of their scheme. Jeff Bridges, more grizzled and drawling than ever, plays the brilliant Texas Ranger on their case, a guy just trying to do his job. Audiences will find themselves rooting for the boys to get away with their noble Robin Hoodery… but also rooting for the sheriff because he's a sharp and decent man (and because he's played by Jeff Bridges). Surf movies aren't so much about surfing so much as they are about culture and atmosphere — the people who travel around the world to find the best spots to catch tasty waves, and what it feels like to be out there on the ocean in the early morning hours, at one with nature and one's board. Breath is that kind of movie, a visceral, inviting film that will probably make viewers want to take up surfing as soon as possible. 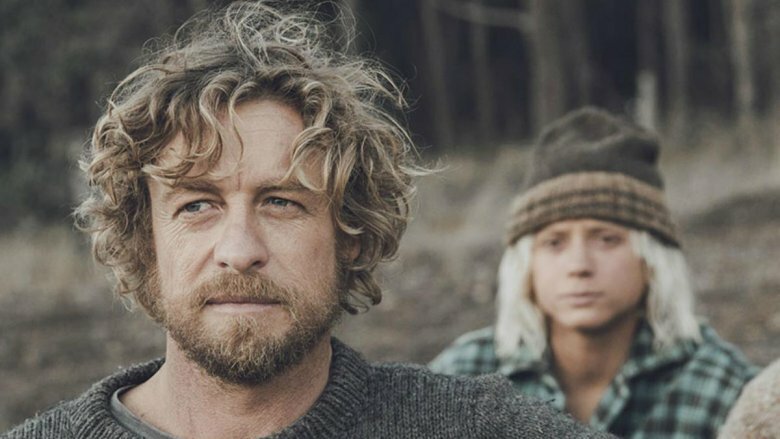 Breath stars Simon Baker, best known as the pretty-boy star of the CBS crime drama The Mentalist, as Sando, an old hippie surf guru. He mentors two enthusiastic teenage surf newbies in straight-laced Pikelet (Samson Coulter) and bad boy Loonie (Ben Spence). The film is set in Western Australia in the '70s, and Baker also directed and co-wrote the movie, which explores what it means to be a surfer. 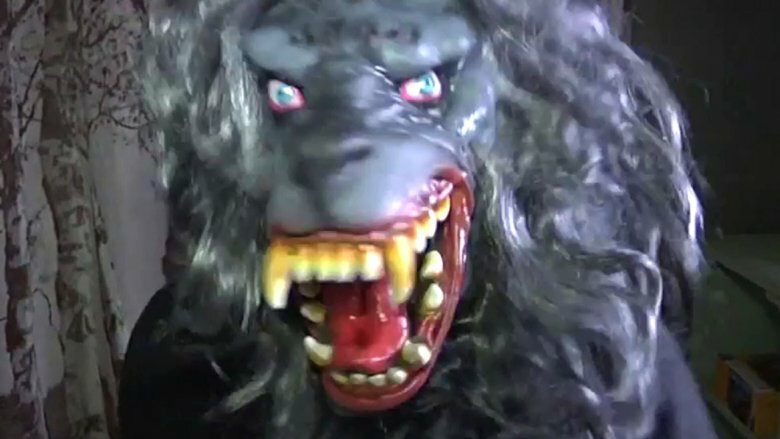 Like most Americans, writer-director and Joshua Zeman and investigator Rachel Mills are fascinated with "urban legends" — those crazy, unsourced, undated stories that get passed around as the modern equivalent of folklore, detailing some bizarre or frightening happenstance. They're tall tales and couldn't possible be true, because who's going to believe that your friend's cousin's sister's brother's friend died from eating poisoned Halloween candy, or that a guy with a hook attacked a couple of teens in a car on Makeout Point? Zeman and Mills are curious people, and they wanted to know where these urban legends began, so they did the legwork and made a documentary about it. In Killer Legends, they trace four famous modern myths all thee way back to the real-life crimes that inspired the stories… before they got widely exaggerated. This documentary is fascinating and creepy, and it's not often one learns something from a horror movie. Yeah, this is basically a horror movie because it's about familiar terrors like "The Hookman," "The Candyman," "The Killer Clown" and the babysitter who gets a call "that's coming from inside the house." Years before he wrote and directed the innovative sci-fi gem Looper (no relation) and an obscure little space movie called Star Wars: The Last Jedi, filmmaker Rian Johnson released Brick, a throwback to gritty, ambient, stylish, and stylized crime noir pictures of the mid-20th century. The main difference: This here detective story is set at a suburban California high school. Imagine a very dark (the titular brick is a load of heroin) slow-burning Veronica Mars, and you've got a good idea of what Brick is like. Just when you assume that every possible variation on the romantic comedy genre has been done, along comes Unleashed, a movie with a bizarre and delightfully doggone premise. It asks the question many have probably asked themselves in a moment of pure lonely desperation: What if your beloved pets came to life… and you dated them? 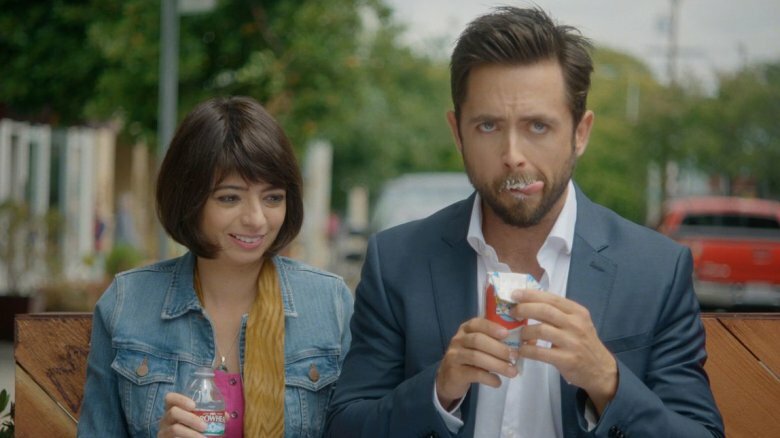 Unleashed stars Kate Micucci (the charming character actress and comedian best known for The Big Bang Theory and Garfunkel and Oates) as an unlucky-in-love app designer who moves to San Francisco and things fall apart with her boyfriend. The oddest and cutest love triangle quickly develops when her cat, Ajax, and dog, Summit, magically and mysteriously transform into two human men. Justin Chatwin and Steve Howey (both veterans of Shameless, oddly enough) become the cat-like and dog-like man, respectively, and they're very much in love with their master-turned-object of desire. Chatwin and Howey engage in some hilarious, over-the-top physical comedy, really going for it in their roles as confused animals in new bodies. 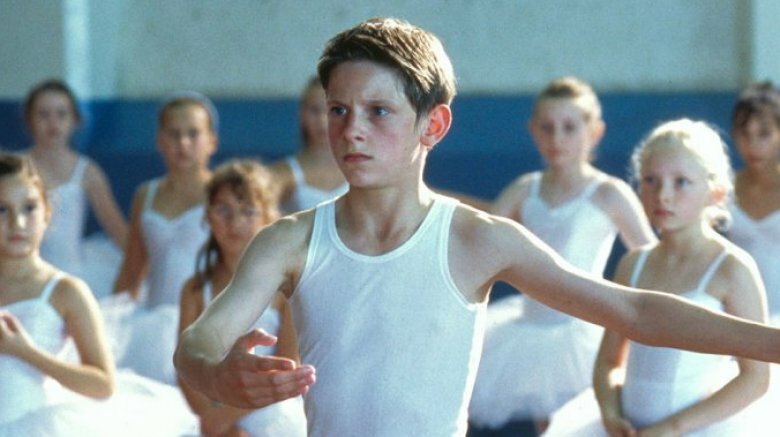 Billy Elliot has got one of the best dance sequences ever committed to film, as Bell exuberantly bounces through the streets of Newcastle to the tune of the Jam's hard-charging "A Town Called Malice." That scene alone makes this movie, in all honesty, a feel-good romp. In between filming huge blockbusters like Deadpool and The Hitman's Bodyguard, Ryan Reynolds finds the time to make the occasional quirky indie movie — like this one. Mississippi Grind is a disarming comedy/drama about a grizzled, degenerate gambler (Ben Medelsohn) and the young charmer (Reynolds) with whom he embarks on a road trip full of partying and gambling until they make it to a high-stakes poker game in New Orleans. 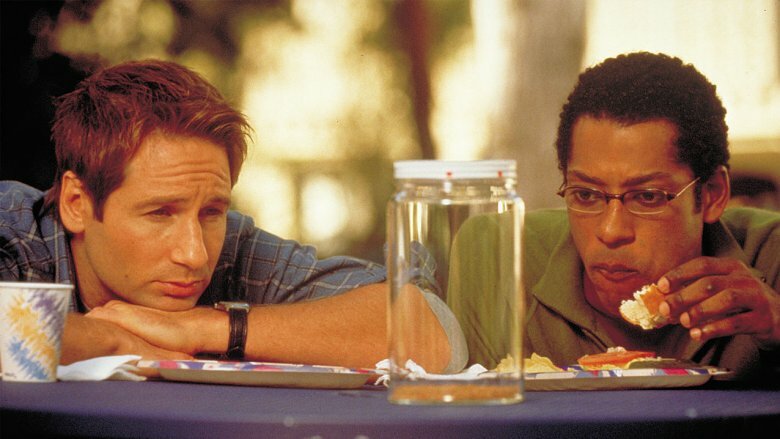 There's great chemistry between the two leads, playing near-polar opposites: Mendelsohn's Gerry is a likable loser whose life is a perpetual mess due to his habits (and the actor wears all that experience like a costume), while Reynolds' affable Curtis is seemingly just along for the sake of fun and adventure. 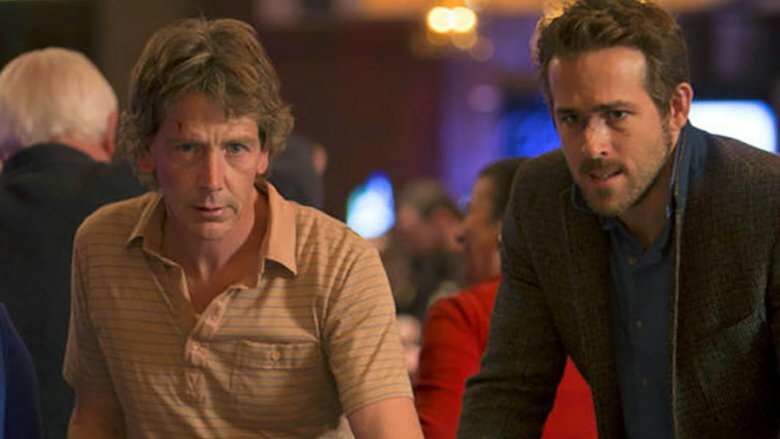 Mississippi Grind is ultimately a compellingly realistic movie about gambling, as it captures both the highest highs of a good luck streak turned financially fruitful… as well as the gut-wrenching agony of losing everything in an instant. This wry, breezy ensemble comedy explores the divergent, intersecting lives — particularly the seedy, scandalous shenanigan parts — of the entrants in the most wholesomely kooky thing ever: a Midwestern butter sculpture contest. These are very real competitions in the dairy-heavy Heartland, and the one in Butter revolves around the Iowa State Fair. 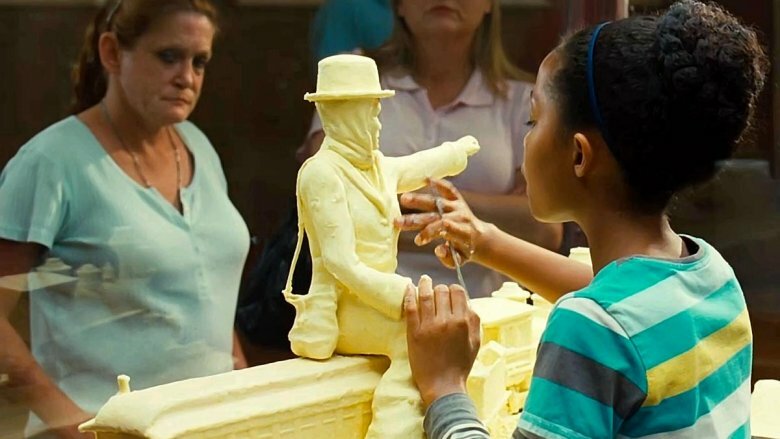 Master butter-worker Bob Pickler (Ty Burrell) is forced to retire from competition after winning it 15 years in a row, but inspires a 10-year-old foster kid named Destiny (Yara Shahidi) to compete after she makes a Holy Grail to complete Bob's rendition of "The Last Supper." Things get ever more complicated and out of control when Bob gets caught by his wife Laura (Jennifer Garner) in a van with a stripper (Olivia Wilde)… only for both women to enter the butter-carving fray for their own reasons. Come for the wacky comedy, stay for the hilarious butter sculptures in the film's climactic moments. 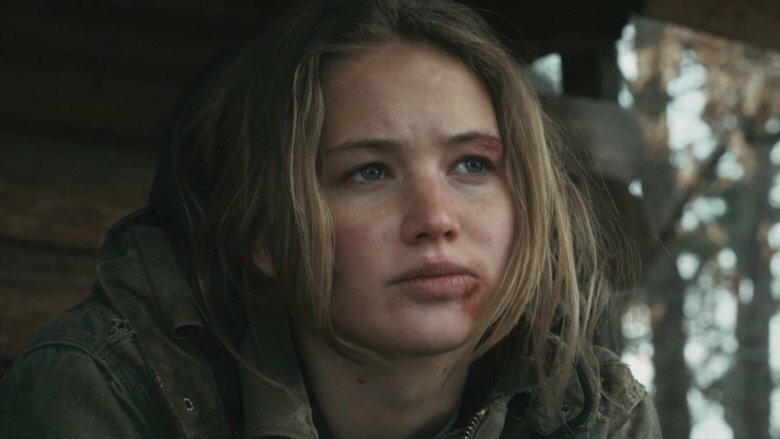 Not long before Jennifer Lawrence launched into superstardom with The Hunger Games, portraying a young woman whose ability to make do in the wilderness will serve her well, she played a character as no-nonsense, survival-minded, and in touch with the land as Katniss Everdeen. Rural teenager Ree Dolly literally has to save her family and her home. Her dad cooks meth, but has skipped bail and disappeared, and it's up to her to hunt him down in the mountainous, forested Ozark region and get him to turn himself in, or it'll mean Ree and her whole family will lose their home. Feeling like a visceral, American-style Greek tragedy, Ree must travel the spread-out backwoods and pry information out of people who don't want to give it to her (they're all hostile for her not keeping her mouth shut and siding with the authorities rather than her people) while the clock ticks and the stress and doom loom large. It's a bleak, fascinating movie about a culture not often depicted onscreen, and Lawrence proves she's a talent for the ages. There are lots of movies about small town life, and movies about families where each member is trapped in a certain role forever. Junebug explores those topics, but knows that family is complicated and subtle — in other words, it's realistic. The North Carolina family at the center of Junebug isn't dumb; they don't talk much to each other, but still communicate volumes about their own frustrations about life. Chicago art dealer Madeline (Embeth Davidtz) marries George (Alessandro Nivola), but his family doesn't attend the wedding. When Madeline goes to sign a folk artist who lives near George's family, they pop in for a visit. George's relatives are recognizable archetypes to anyone with a family: never-wrong matriarch Peg (Celia Weston), stoic and withholding dad Eugene (Scott Wilson), and brother Johnny (Ben McKenzie), a gruff guy bristling under the pressures of adulthood. His high school sweetheart-turned-wife Ashley (Amy Adams) is nine months pregnant. Adams steals the movie as Ashley — sweet, kind, genuinely interested in others — but Adams resists the easy route to play her character as a simpleton. (She got her first Academy Award nomination in the process.) The family's problems aren't and won't be easily solved, but hey, there's progress. Remember that old episode of The Twilight Zone, about the woman who thinks she's ugly because she doesn't have the same pig-like nose as the rest of the world? Okay, now imagine that as a quirky romantic comedy injected with some class satire, and a message about how looks ideally don't matter in affairs of the heart. With a nod to her Addams Family past, Christina Ricci portrays Penelope Wilhern, a twentysomething in a line of independently wealthy socialites. And just as many royal houses of Europe are afflicted by some kind of physical abnormality due to generations of shallow gene-pooling, the Wilherns face a similar fate: She has a little piggy nose. That nose will become "normal" only when she breaks her family's curse and finds true love with someone of "her own kind." A tabloid hires a sleazy guy named Max (James McAvoy) to pretend to be interested in Penelope so he can take a picture of the reclusive heiress. You can probably guess what happens between Max and Penelope, but that's just one part of her journey to decide to live her life — curse or no curse, pig nose or otherwise.